Do as much as you can to track down the fault. If dashboard warning lights illuminate when you turn the ignition on, it should be relatively straightforward to diagnose. That’s because the car’s computer will have logged the fault and the mechanic’s diagnostic systems should reveal what it is. If the fault is a noise or another symptom, things might be a bit trickier. Even so, there’s plenty you can do to help a garage find a fault. Can you repeat the fault? Occasional problems are the most annoying – and that’s for everyone, including the technician. While you’re driving, think about when it happens. If you’re being bugged by a noise, does it only happen when you go over bumps? Or does it start when you hit a certain speed? You need to be able to repeat the fault to show the technician what the problem is. Do you know where the fault is? If you can discount things, it’ll help the garage. For example, if there’s a noise coming from the rear of the car, take everything out of the boot and see if it still happens. Check that the rear seats are properly engaged if they fold. If it still happens, remove the parcel shelf. Still no joy? Take out the spare wheel and tool kit. If you can eliminate the obvious, the technician doesn’t have to. If it continues to irritate you, ask someone else to drive. You can then sit in the back and perhaps get a clearer idea of where the noise is coming from. Equally, if the noise happens when the car is idling, open the bonnet and ask someone else to rev the engine. It might be happening on the move too, when the engine is at higher revs, but road noise is disguising it. Engines are hugely complicated, and you frequently need expert knowledge to know what’s really going on – or wrong – beneath the bonnet. But there are things you can relay to whoever’s fixing it. If the engine is losing power, what speed does it happen at? And is it only when the engine is thoroughly warm? If it’s a noise, think about the kind of noise. Is it a hissing sound, a screeching, a clunk or a repeated knocking? All this is vital intel for a technician. The chances are you’re not the only one to have suffered this fault. Search on the internet for the fault. It may be common with your car. Although an experienced and qualified technician shouldn’t resort to the internet for fixes, giving them a pointer won’t do any harm. Ask if the person you’re talking to is the person who’ll be tracking down the fault. If not, ask to talk to the technician who’ll be working on your car. Things can sometimes get lost as messages are relayed. 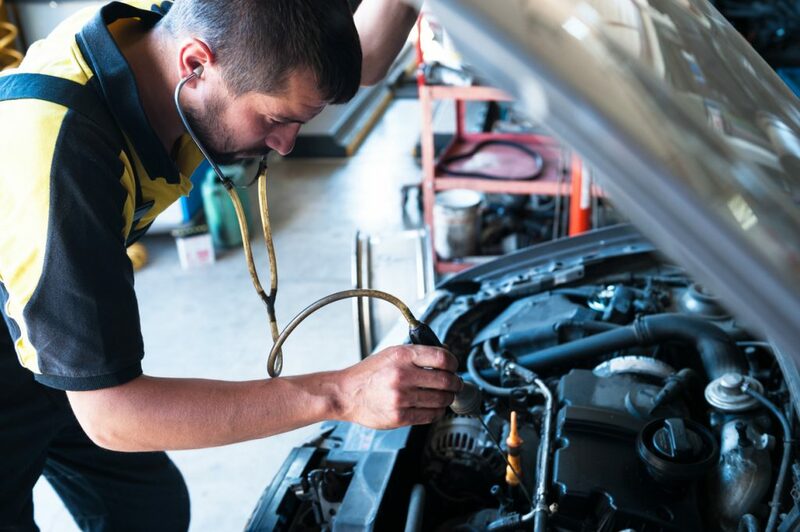 If it’s something you can easily demonstrate when the car is on the move, suggest you take the mechanic for a drive. And if on the way to the garage you’ve found conditions where the fault rears its ugly head, go back there so you can hopefully recreate the conditions for the problem to appear. Even if they’re smiling at you, most technicians will have a sinking heart at the words ‘intermittent fault’. Don’t blame them if they don’t find the problem at the first go. But there again, they are experts and shouldn’t hide behind the fact that the problem isn’t present all the time. True professionals should pride themselves on their ability. An intermittent fault is just another challenge for a talented motor technician. But do as much as you can to help them find it and you’ll be doing yourself a favour too. This is surely a great post on what to do and what not to do when your car is facing the intermittent faults. Keep sharing such posts for better information.